1.What is something you'll never forget about the age you are right now? Relating to my daughters as young adults. I love their wit, their sense of independence, their huge hearts, and their confidence. There's something completely amazing about watching those tiny creatures you've raised take on the grown up world. 2. What's a household chore you've never done? How have you managed that??? Changed the filter in the furnace. Is it the furnace that has a filter? I haven't consciously avoided this job, it's just not one that ever crosses my radar. I don't wash the cars either (unless we're talking drive it through a professional car wash). This is a job hubs prefers to do himself because apparently my idea of a perfectly clean car doesn't match his idea of a perfectly clean car. 3. Does nature shape our personalities more than nurture? Explain. I think its sometimes one, sometimes the other, but most of the time its a combination of the two. I'm sure we all know of children who've gone off the rails in spite of their loving parents and a warm nurturing home life. We can also find plenty of children who've thrived in spite of horrendous circumstances and a significant lack of nurturing. I think most children can be trained and nurtured into well adjusted adults, and its a parent's job to do the best they can to make that happen. I've never read any studies on this, but I'd imagine that most (not all, but most) seriously troubled adults were not born that way, nor can they blame their troubles entirely on a lack of nurturing. I'll leave it at that, because this answer could quickly become an essay. 4. 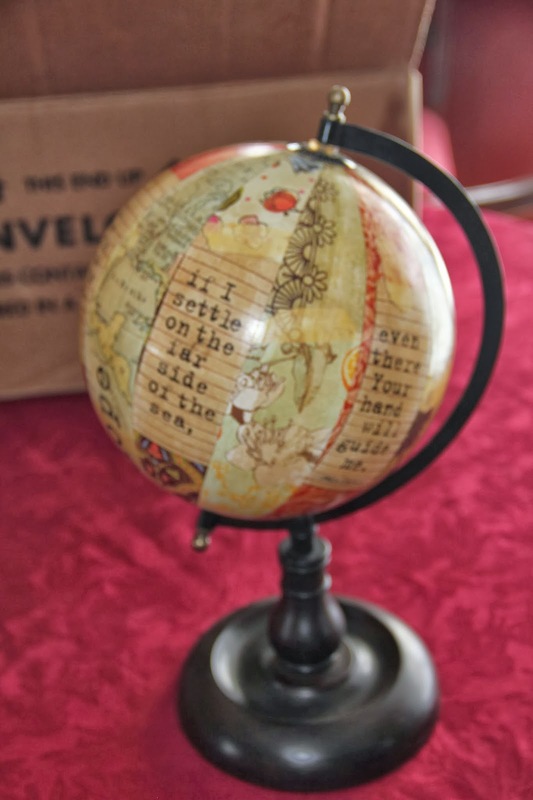 Friday (February 28th) is 'Something on a Stick Day'...funny because Zoanna at A Penchant for Pens recently sent me a question for the Hodgepodge relating to this topic. What's your favorite food eaten on a stick? 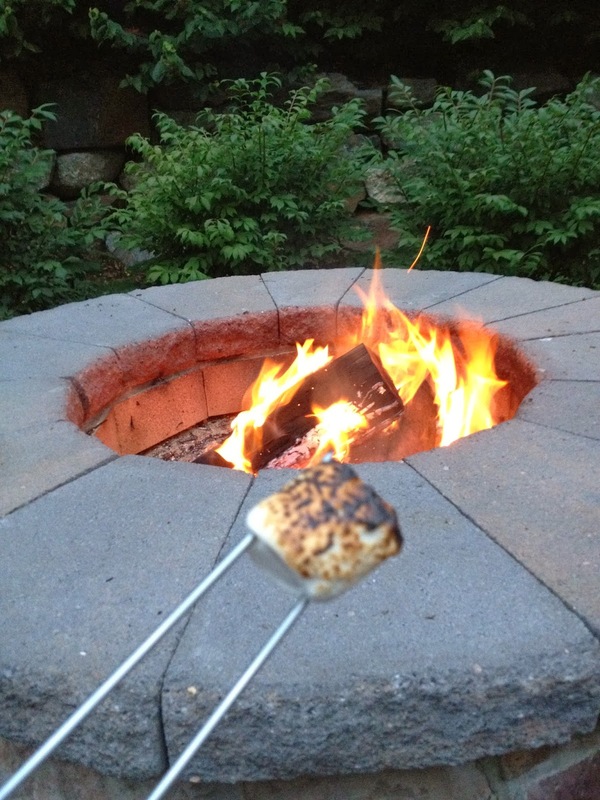 A perfectly toasted marshmallow, preferably eaten beside the campfire upon which it was roasted. A starry sky overhead only makes it better. 5. Which of your five senses do you treasure most, and why? It's hard to imagine being without any of the five, but I'll say the one I treasure most is sight. I'm a very visual person, and the idea of never seeing my children's faces, the ocean, the view from a mountaintop...I think that would be so hard. 6. What's the best music, theatre, or sporting venue you've been to? What made it great? I've been in a lot of wonderful venues but probably the best would be The Coliseum in Verona. What made it great? and the intoxicating magic of Italian night air. 7. It's the last week of the month...in five words or less bid adieu to your February. Loved your big beautiful snowfalls! p.s.-Note to self, next time I ask something like this make it 10 words or less. Five is not nearly enough! I received a really nice surprise in the mail last week. Susan, who blogs over at Stew Mama Says, had emailed asking for my address. She said she'd seen something she had to buy for me...that when she saw it she thought of me, my brand, my blog, and my word for this year. That's a lot to squeeze into a gift, so I was really curious. With my verse written around it. And a word closely linked to my word for this year on the other side of the world. Well, yes I guess she did have to buy it! 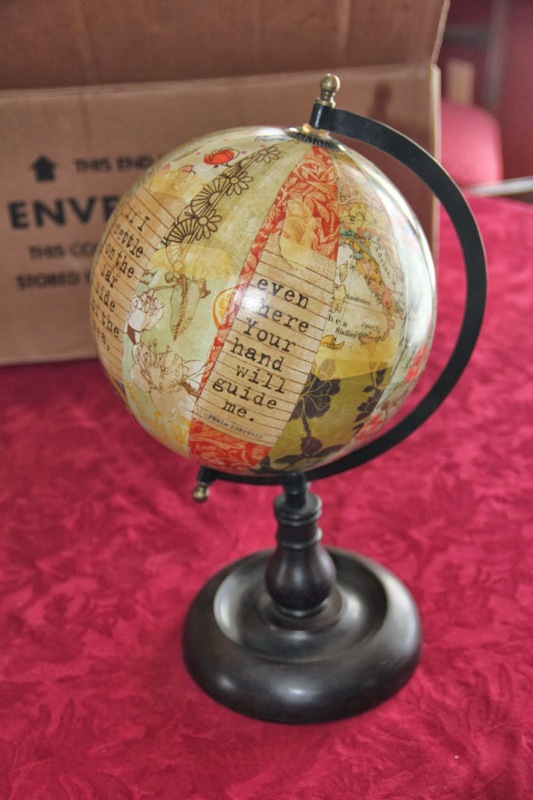 You know, when I started my blog back in 2009 I never imagined that one day someone I'd never met in person would see something that so perfectly fits where I am right now, that they would somehow recognize that, and then would go to the trouble of buying, packing and mailing it to me. As a bonus, the box arrived on a day when I needed a little help remembering these words, so thank you for that Susan! Another weekend has come and gone, and here it is now late Monday afternoon. I still have too many undone must-dos calling my name, so if anything remarkable happened over the last couple of days, you'll have to hear about that another time. It's Hodgepodge question time and the Hodgepodge, like time itself, waits for no over-committed blogger man. 1. What is something you'll never forget about the age you are right now? 3. Does nature shape our personalities more than nurture? Explain? 4. Friday (February 28th) is 'Something on a Stick Day'...funny because Zoanna over at A Penchant for Pens recently sent me an idea for a question relating to this topic. What's your favorite food eaten on a stick? Tell your inner critic to hush, then write for 5 minutes flat for pure unedited love of the written word. Then hop over to the party hosted by Lisa Jo Baker, and add your link to the list. Be sure and leave a comment for the writer who linked before you, because that's the neighborly thing to do. Sometimes being an adult is not all it's cracked up to be. Sometimes the world beats you down in the form of mean. Sometimes a co-worker rails on you because they can. They know that you, the fair haired woman-child with the soft sweet voice, and the tender heart, and the quiet strength...they know that you can take it. They need someone to take it. You carry on. You wobble only a little. It's the key in the ignition that does it. Your car is dead in a cold dark February parking lot at the end of a too long day. It's the proverbial straw. That one more thing on top of too many things, and suddenly the way your grown up life rises up, and smacks you in the face makes you want to collapse into a puddle on the slushy gray pavement. You are struck with a longing for the familiar place called home. I hear them. The tears at the edge of your words. They reach out across the miles and phone lines. It's the catch in your throat, the pitch in your voice, that takes me back to when you were small and your hand held mine. When I could sit on the edge of your bed and be the fixer of problems, the soother of hurts, the cheerleader reminding you tomorrow is a brand new day. When my lips kissed your sweat stained forehead. When a cup of water and my off key lullaby were enough. When we told God together all the weary worries on a small child's heart, and you slept secure in the knowledge that every little thing was gonna be okay. The calendar does not lie and more than two decades have been marked and lived and loved. We're states and miles apart, and somehow you're no longer small. We've got this though, you and me. You talk and I listen. I talk and you listen. I find words to soothe, to remind you tomorrow is still a brand new day. You're good now, just needed a place to set down all the balls for a minute while you exhaled. You get over all the many things this day has wrought because you're a grown up now. So I sit on the edge of my bed and tell God all the weary worries on my grown up child's heart. And I sleep sure in the knowledge that every little thing is gonna be okay. 1. What's the biggest change since your childhood in the way people think or act? There is in general less respect, not only for those in authority such as teachers, police officers, etc, but also for the average person we encounter as we go about our day. I think we've become quite rude as a society. We don't know how to deal with someone who holds a viewpoint counter to our own, so that person must be eviscerated. They must be judged and judged harshly, labeled with the most derogatory terms we can find, and then verbally beaten to a pulp. It does seem to me the more we have talked about 'tolerance' the less 'tolerant' we've become. I feel like there is now much more emphasis on our differences, less celebrating what we as humans share. Technology is amazing, but has definitely re-shaped the way we interact with one another, not always for the better. There are new ways to communicate, but also new dark anonymous alleys for bullies and pedophiles and other creepy crawlies. I think there's more fear in the world today, which leads to less trust, and consequently planet earth feels a little less friendly than it did when I was young. On the bright side I'm not wearing polyester or blouses tucked into high waisted jeans anymore either. 2. The Olympic Biathlon involves cross country skiing broken up with two or four rounds of target shooting. Which part of that would stress you out more? Or would you love them both equally? I'd like to try the shooting portion of this event, just not in combination with the pressure of a cross country ski race. I've never actually been on cross country skis, but those athletes all seem to fling themselves to the ground once they cross the finish line, so I'm thinking its way harder than it looks! 3. February is National Canned Food Month...what is your most purchased canned food item? What was in the last can you opened? I use very little in the way of canned foods. My most purchased item would probably be tuna fish, although I will admit to a love of canned whole green beans. I love fresh green beans too, but I really do like the taste of whole green beans, eaten right out of the can. There are worse things to snack on, right? 4. What river (anywhere in the world) would you most like to cruise? I'm not a 'cruiser', but I can handle rivers, so this would likely be the only way I'd ever agree to that sort of holiday. The Rhine...castles, vineyards, and fairy tale towns in The Netherlands, France, Germany and Switzerland. What's not to love? 5. It's the middle of the night and you can't sleep...what do you do? 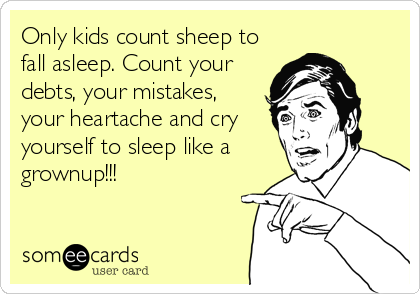 Count sheep? Toss and turn? Watch television? Or do you get up and do something productive? Well I don't count sheep. If I wake up in the middle of the night I'll start by ripping off the covers, since heat is normally to blame. I'll probably toss and turn a little, and oftentimes I pray. Prayer has a way of settling me down on the inside so I can sleep. I don't turn on the television in the middle of the night, and I try not to get up and disturb my hubs. Apparently I'm not that great at being quiet-ha! 6. How important is keeping your cool? Keeping my cool is really important to me. I'm a pretty even tempered person, and find anger in others very difficult to handle. I think a viewpoint or opinion is heard, and more willingly considered, when it's made in a reasonable tone. Anger wounds. 7. I've got white stuff on the brain so why not run with it? White lie, wave the white flag, white knuckle it, white wash a situation, or white as a sheet...which phrase could most recently apply to your own life in some way? Hmmm...none of these really apply to me at the moment, although some of the Olympic events make me think of white knuckling it. I'm so nervous for the athletes, especially those doing the super scary stunts. Aerial skiing anyone? Or how about the skeleton sled where they hurtle down an icy route head first going 80 mph? Speaking of the Olympics and treating others with kindness today...did you see where the Russian cross country skier fell in the middle of the race, and broke a ski? He thought he wouldn't be able to finish, but a coach for the Canadian team ran in from the sidelines with an extra ski he'd carried up in case his own skier needed it. The Canadian coach helped the Russian skier put the ski on, and the Russian was able to finish the race. He came in 12th, but was greeted by the Russians as if he'd won. How about US hockey star, T.J. Oshie, who when labeled a hero for essentially winning the match against Russia said, "The real heroes wear camo. I'm not one of them." Humility from someone in the spotlight is refreshing, isn't it? And another person's spontaneous act of kindness makes the whole world smile. Guess what's in our forecast today? Ka-razy! Here are the questions for our Hodgepodge...answer on your own blog, then slide back over here tomorrow to link answers with all your friends and neighbors. The more the merrier, so come join the party! 2. The Olympic Biathlon involves cross country skiing broken up with either two or four rounds of target shooting. Which part of that would stress you out more? Or would you love them both equally? 3. February is National Canned Food Month...what is your most often purchased canned food item? What was in the last can you opened? I guess everyone is sick of all the snow talk, and the snow pictures, and the actual snow, right? No? Great, because life around here has been all about snow, predicting snow, prepping for snow, removing snow, figuring out where to put snow on top of snow, gutters overflowing with snow, cars covered in salt and snow, and most of all, relishing the snow. Because above all the back breaking, pocketbook emptying, are-those -gutters-gonna-hold worry, a great big snowfall really is beautiful. A couple of inches of snow is aggravating, not enough to stay cocooned indoors, but so sloppy to navigate when you're out and about. Two or three feet on the other hand, and there's no question you're not going anywhere. You settle in and enjoy, or at least we did. Chocolate glazed chocolate tart. So rich, a tiny sliver is all you need. Not necessarily all you eat, but it is all you need. Definitely a special occasion dessert. Let's recap...we had fourteen inches of snow topped with a thick coating of ice on the ground already. Wednesday into Thursday we got another sixteen inches of very wet, very heavy snow. Saturday another six or eight inches fell. No point in measuring, suffice it to say there's a whole lotta snow out there, and the way it's been pushed and plowed and mounded I'll likely still be posting photos of the white stuff in July. I wonder if the gutters will have melted by then? Probably, but will they still be attached to the house? That's the million dollar question. Did I mention it's pretty? Today the sun shone so hubs and I got out for a walk. Our pup loves the snow and cold weather so we maneuvered her paws into her boots and she joined us. She sounds like a Clydesdale as she clop-clop-clops across the iced over pavement. Every now and then she shoves her whole face into the nearby snowbank for a snack. Our dog is ever on the lookout for that elusive blade of grass. 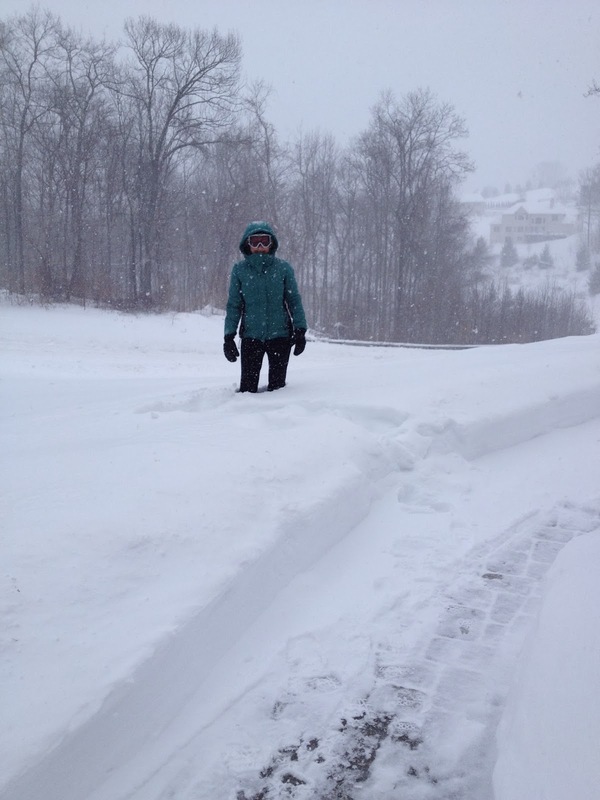 Hubs has been forced to lug the snow blower around back to make a path into the yard for her. ...'la toilette du chien'. Everything sounds better in French, don't you think? How do you say dangerously large icicle on the corner of the house? I'm happy to report our mailbox is still standing. We have a Dunkin Donuts gift card for our mail lady in the hopes she won't give up on us. I've doled out freshly brewed coffee and hot chocolate to our snow plow guys every time they appear too, which has been a.lot. Kudos to the road crews as well, because they are relentless. Hubs has also moved a mountain of snow this winter. He clears the sidewalks, patio, porch, and steps which is no small feat. In fact it might even be considered somewhat hazardous. Last weekend? This weekend? The snow? Valentine's Day? Assorted random 'stuff' I've thought about mentioning here when I had a minute? None of it? All of it? 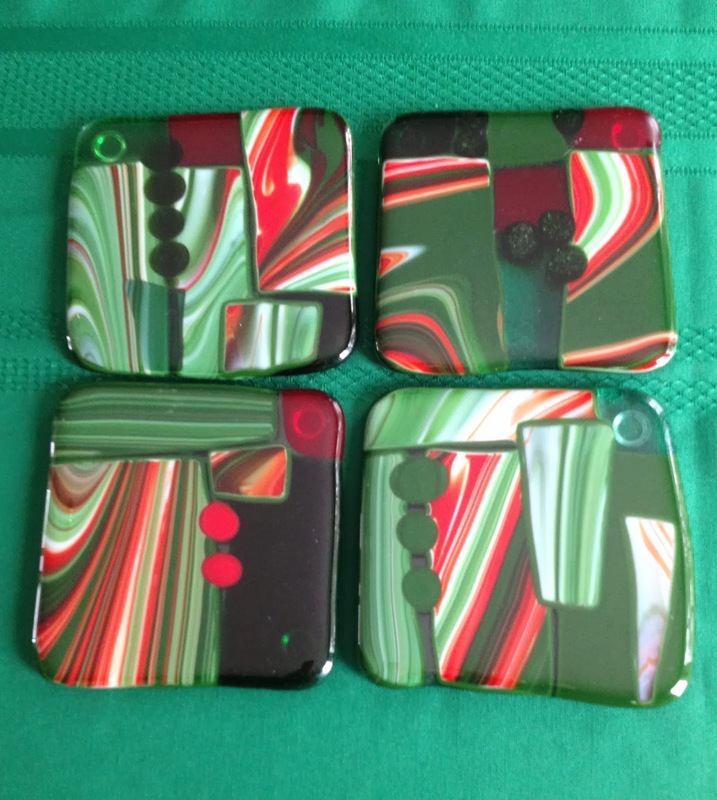 I used Christmas colors in mine, and am happy with the end result. Now if I can just remember to pull them out in December, which is always the tricky part for me. I loved it so much I ordered their Advent calendar back in December too. This year Naptime Diaries is offering a journal for Lent, and I ordered mine last week. If you're interested you'll need to order by Feb 26th if you want to have it in hand from Day 1, but really it's something you could use anytime of year. I'll post a picture once mine arrives, or you can visit Naptime Diaries and see it now. Her graphics are always beautiful so I'm looking forward to seeing what she's done with the journal. About last weekend....hmmm...it's so last weekend. That's how it goes with blogging, always best to seize the moment, and if you miss it just carry on. I will say we saw Monuments Men at the theatre last Saturday, and enjoyed it very much. While the loss of great art and literature doesn't compare to the devastating loss of life that occurred, it's still incredible to think of all the paintings the world will never know, the sculptures never to be admired, the books never read, as a result of Hitler's rampage. We also watched the opening ceremony for the Olympics, and since then have watched a fair amount of the event coverage. One thing I love about the games is that while we always root for our home country to do well, it seems we can also all get behind that athlete from anywhere who wins unexpectedly or performs in some amazing way. My favorite so far is the Canadian freestyle skier named Alex Bilodeau, who says he's inspired every day by his brother Frederic. Frederic has Cerebral Palsy, and after winning gold Alex went straightaway to his brother to share the medal. Even though Canada's Prime Minister was standing beside him waiting to shake his hand, it was his brother who got the first hug. What else? I should mention the snow. I mean SNOW! It's pretty y'all. I know some people hate me for saying that, and our gutters are scary full to overflowing with ridiculous ice that appears to be three feet thick, and my patio and the top of the driveway are still a skating rink, but y'all...it's pretty. We got over a foot last week, and it's been snowing all day today with the forecast saying it will continue overnight. We're reaching that point in winter where we'll have to figure out with our snow plow guy where in the world he's going to put it all. We'll likely have to block the garage bay that houses hubs little red car. Can't imagine we'll be out in that anytime soon (ha! ), but even so those snow plowed mountains take forever and a day to melt. She hasn't thrown in the towel yet! I think the firepit is still around too, but we may have to wait until Spring to confirm that one. Yes I resorted to wearing my ski goggles...it's a blizzard out there! Except I heard technically it's not because we don't have the required wind gusts to be considered a true blizzard. Oh we have wind, just not gusting through at blizzard speeds I guess. When you're getting hammered with more than two feet of snow, and trees are bending to near breaking, and you're forced to wear unattractive ski goggles just to check out the status of your own front yard, I'd say that qualifies as a blizzard. Tomorrow is Valentine's Day, and given the weather it looks like there will be plenty of time to spend with the one I love. 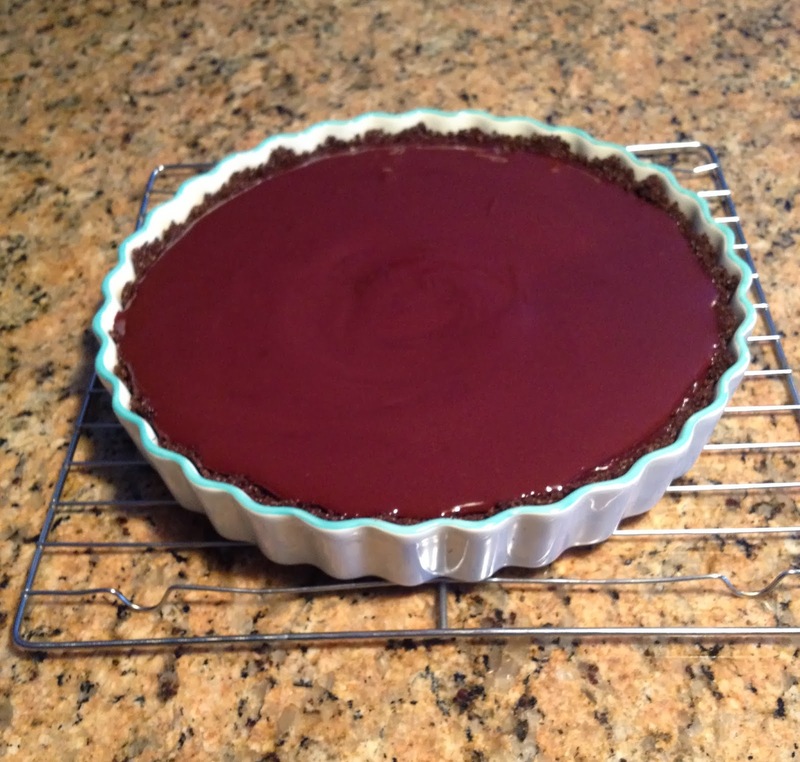 I was also supposed to meet my gourmet group for lunch tomorrow, but that will likely be cancelled, which is why I am right now congratulating myself for signing up to bring the chocolate glazed chocolate tart. Can't let that go to waste now, can we? 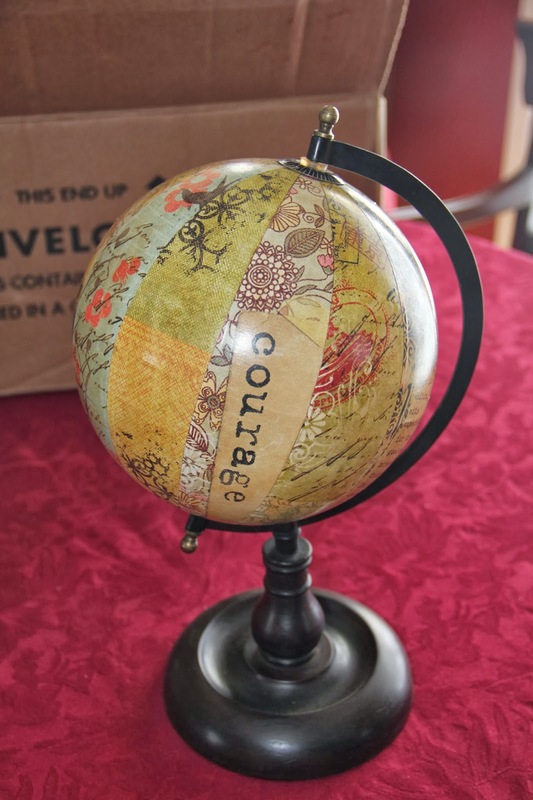 Welcome to this week's edition of the Wednesday Hodgepodge. Answer the questions on your own blog, then hop back over here to share the linky love. Tell the truth now, it's Honest Abe's birthday ya know! 1. What makes love last? A sense of humor, a forgiving heart, making a concious effort to put the other person first, seeing the best in your mate as opposed to keeping a tally of all that annoys, not expecting perfection, extending compassion, knowing there will be days, and most especially never underestimating the power of the little things. Life is made up of a million little things, and over the course of ten or fifty years, those little things add up to an awful lot. The Beatles made their U.S. debut fifty years ago this week. Are you a fan? If so, what's your favorite Beatles tune? Yes I'm a fan, and hubs would say they're his all time favorite. He saw Ringo in an airport several years ago, and as he walked over to say hello, a great big arm attached to a bodyguard reached out and said 'uh, sorry, no can do'. We've seen Paul McCartney in concert three different times (and once in his pajamas having breakfast in a NYC diner) and he's great. Now to pick a favorite tune...hmmm....that's a tough one. Hubs used to sing Golden Slumbers to Daughter2 when she was a wide awake baby girl, and it would settle her right down. While I'm pretty partial to that one, The Long and Winding Road might be my most favorite. 3. Valentine's Day-your thoughts? Do you celebrate in any way? Do anything special for the people you love? Expect anything special from the people who love you? It's not that I'm anti-Valentine, but I don't set high expectations for the day either. Even though my girls are grown I still send them a carefully chosen card, and some sort of goodie via the US Mail. Hubs and I have never done more than exchange cards, and sometimes not even that. We eat out often, but almost never on Valentine's Day. On that day we enjoy preparing a nice meal together in our own kitchen, maybe trying a new recipe, and always with a playlist of our favorite tunes in the background. 4. Steak or burger...you have to choose. Now that that's settled, how do you like it? 5. The Hodgepodge lands on the birthdate (February 12th) of Abraham Lincoln, 16th President of the United States of America. Lincoln is quoted as saying, "Nearly all men can stand adversity, but if you want to test his character give him power." Do you agree? Why or why not? Agree. Power so often seems to change people, and generally not for the better. Look at the mess our government is in. I do believe many of those in office started off with the best of intentions, but power is intoxicating, and the need to hold onto it makes people compromise their beliefs and principles rather than risk losing it. I have enormous admiration and respect for people in positions of power who are able to act with integrity, and remain true to their beliefs. It's hard to think of an example in this day and age, but perhaps that's because those people uncorrupted by power are going about their work quietly, not seeking fame and adulation? Billy Graham is someone who comes to mind. He's had the time, attention, and ear, of presidents and kings, yet he remains humble. He carries on about the business of pointing people to the cross. All people, not just the ones he agrees with, or who share his particular spiritual and political views. 6. Honest Abe's picture is on the US penny (1 cent coin) so I'm wondering...what do you do with your pennies (or your country's equivalent)? It's been suggested the US stop making the penny, and two bills have been proposed suggesting just that, but neither were approved. What say you? What do I do with my pennies? I make my hubs crazy by insisting I've got that three cents needed to cover a $20.03 tab, and then I dig through my purse to prove it. I love exact change-ha! I have a bowl in my bedroom where I sometimes throw pennies. Haven't thought too much about abolishing the penny, but if we do I guess that means no more $2.99 pricing on stuff? We'll live in a world of round numbers. 7. Do you think pop culture deserves serious study? Not now. Maybe someday way way way down the road we'll want to look at today's pop culture and see how it impacted a generation, but I can't see that it deserves serious study today. I'm also not one of those parents willing to fork over tuition dollars for a college student to take a class called 'American Soap Operas' or 'Exploring Buffy the Vampire Slayer' or especially, 'How to Watch Television'. In my opinion that's a waste of a parent's hard earned pennies! Ski jumpers are a little bit crazy. I had a very full Monday, hence no weekend wrap up. Not that we did much of anything, but when have I ever let a little thing like lack of content stop me from recapping a weekend? We'll come back to that because now it's Tuesday, and all roads lead to the Hodgepodge. Here are this week's questions...answer on your own blog, then hop back here on Wednesday to share the linky love. 2. The Beatles made their US debut fifty years ago this week. Are you a fan? If so, what's your favorite Beatles tune? 5. The Hodgepodge lands on the birthdate (February 12th) of Abraham Lincoln, 16th President of the United States of America. Lincoln is quoted as saying, 'Nearly all men can stand adversity, but if you want to test his character give him power.' Do you agree? Why or why not? 6. Honest Abe's image is featured on the US penny (1 cent coin) so I'm wondering...what do you do with your pennies (or your country's equivalent)? It's been suggested the US stop making the penny, and two bills have been introduced proposing just that, but neither were approved. What say you? So life is plodding along in that way it does every February, and I like it. I know lots of you reading here are saying enough winter already, but I love the changing seasons. Snow days help me appreciate the warmth and coziness of home, and they also provide unscheduled time to think and write. Pretty sure this was taken with a Disc camera. Kids, the term Disc had nothing to do with digital cameras or computers. It was the early 80's and our computers needed their own classroom...sometimes even their own building. The camera was called a Disc camera because the film was actually a flat disc as opposed to a spool. The picture quality was terrible, but I don't suppose I needed to tell you that-ha! No idea who the guy in the background is. I do know he's a stranger, because if he weren't I would have put his name on back. See how that works? Besides identifying the people in the picture I also normally wrote the occasion or location, and on the back of this one it says -'First Fun Snow Day', December 1982. Let's discuss. Except the hubs was not the hubs then, he was just the boyfriend. And he had a mustache. Hubs and I had been dating and/or married over 15 years before I saw him without a mustache. We were at my parents house for Christmas the year he shaved it off, and when he strolled downstairs into their living room with a bare upper lip, both little daughters promptly burst into hysterical tears. True story. 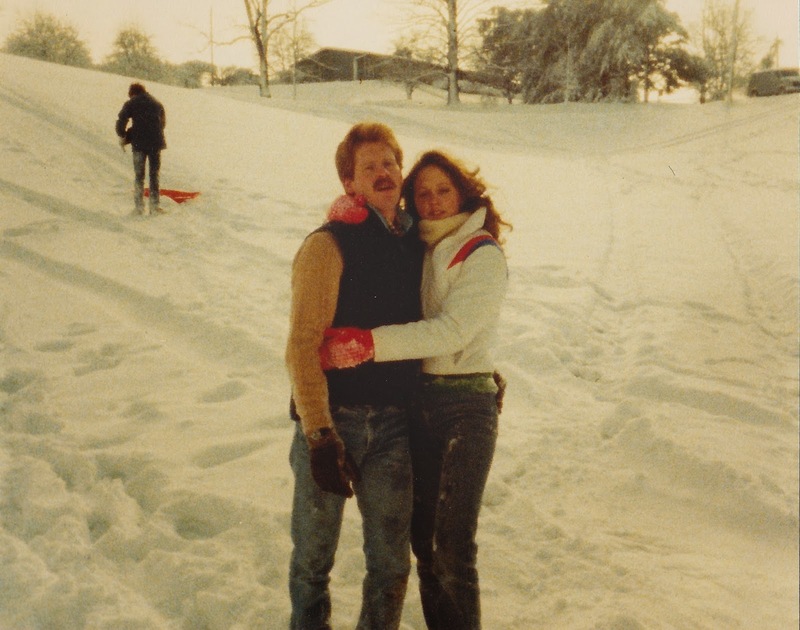 Back to 1982, and my 'first fun snow day'. I feel certain I did not mean first fun snow day of my life, but rather first fun snow day of the year. In 1982 college students did not posses expensive snow boards. Dorms were filled with milk crates turned bookcase, and bedding from home that did not necessarily match your roommate's bedding from home, and phones on the wall that you shared with literally everyone else living on your hall. I think in this picture we're at the golf course, but I can't say for certain because I didn't write it down. 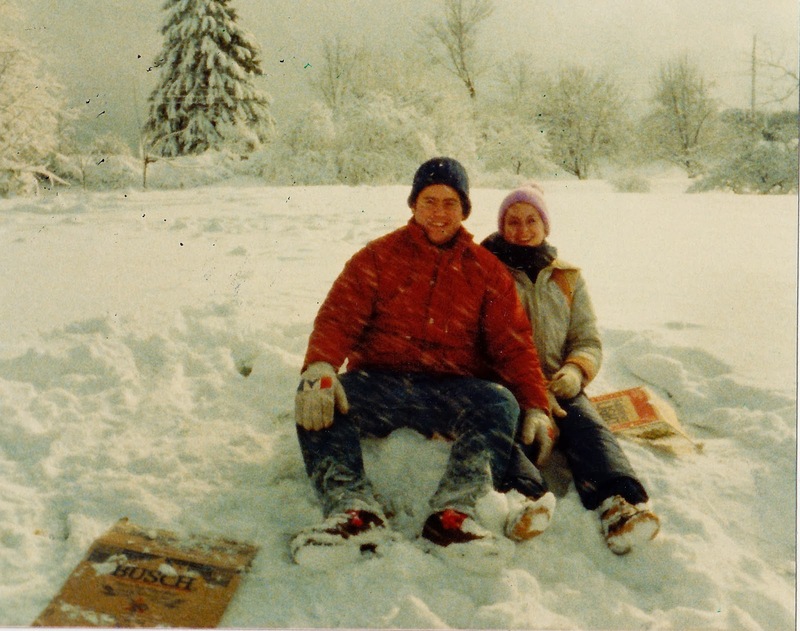 The golf course was where college kids went sledding, and normally we took trays from the dining hall, but for some reason this day we're sledding on cardboard. I know this because I found a picture of friends who were with us, and they're sitting on the 'sleds'. We're still friends by the way...they got married a month after we did, and they're also still married. When we see these friends I sometimes feel like the 22 year old girl in this photo. I think that's part of the beauty of college friends. They help you remember how the person you were helped make you the person you are. Let's talk about my hair, because I'm sure my hair is the reason I opted to be cold as opposed to wearing a hat. Did you notice hubs is wearing a down vest? Hey kids, don't get rid of your down vests, because come 2044 the one you've got on today will be in style again too. Yesterday hubs and I literally slid down the driveway so I could get the mail, and he could move the snow the street plow had thrown up to block us in. I guess it must have been something like our 'hundreth fun snow day'. And those kids in that picture up there? I think healthy adults are always responsible for their actions. This is one of the reasons parenting is such an enormous responsibility, and cannot be equated to backpacking across China. Oops...that was last week's debate. I suppose this notion of responsibility becomes a little grayer when we're talking about the mentally handicapped, and also those individuals with serious mental illness, the kind that impedes judgement. If by 'home town' you mean the place I spent most of my growing up years, then yes. I had no idea until I googled it (don't you just love the Internet??! ), but evidently Cristin Milioti ( How I Met Your Mother, Wolf of Wall Street) and Ali Larter (she's been in a lot of things, but I know her from Legally Blonde) are both from my home town. I use my crock pot about once a week in the winter months, sometimes more. In fact I used it just last night to cook a pork roast which was delish. My favorite thing to prepare in the crock pot is beef brisket, which has loads of flavor and is so tender. My biggest complaint about most crock pot recipes is they're often a little bit bland, and so many of them call for cream soups, which are not boot camp approved. I don't use the crock pot as much in summer months since the meals I prepare the slow cook way are heavier, and we tend to eat lighter in warm weather. Well, it's 2014 so I'm not sure how I feel even matters. Pandora's box has been opened, and I don't see us going back. I don't really mind the advertising geared towards my interests on Facebook...it's only mildly creepy. Actually I don't pay a lot of attention to advertising on Facebook, blogs, etc, but I guess it's effective because companies continue to market that way. I suppose the bigger issue for me is can we trust corporations (and our government) not to misuse the data? 5. The Games of the 2014 Winter Olympics kick off with their opening ceremony this coming Friday...will you be watching? Which Winter Olympic event would you most like to see in person? Have you ever been to Russia? Any desire to go, Olympics or otherwise? I'll be watching, maybe not the whole thing, but a big chunk of it for sure. I'd like to see the ski jumping in person. Absolutely terrifying! I've never been to Russia, but I'm pretty much up for seeing the whole wide world, so why not? Hubs has been...his brother and sister in law and their daughter lived in Moscow for a while, and hubs has been back there for work since then. Incidentally, the man in the photo with hubs is not his brother, but he is a friend of his brother's so he's our friend too. I think I've made it clear that I am not now, nor have I ever been, much of an athlete. A sports related memory from my childhood would be running the 600 yard dash every year in phys ed. Is it a bad memory or a good one? Hmmm...I remember being happy to finish-ha! Is dance a sport? I have fun memories of taking dance my Junior year of high school. We could choose which phys ed electives we wanted and I chose dance. The teacher was an older man who was also the school's golf coach, and he had himself some rhythm! He was a nice man, and made the class really enjoyable, which I think is the secret to getting kids moving. 7. What's a must have song for you on a work out play list? If you don't work out, run, bike, swim, walk, or anything else that could be construed as 'exercise', then what's a song that at least motivates you to get up off the couch? I have David Crowder's Undignified on my workout playlist, and no matter how slow I'm moving, when that one starts playing I feel a renewed sense of energy, and always pick up the pace. I'll be thinking of those moms in these next two weeks! That's what they call the day after the Superbowl, right? Ay yi yi, what a heartbreaker that turned out to be. Unless you were rooting for Seattle, of course. I realized last night, while sitting with my stomach clenched and my eyes turned away for much of the game, that I am not cut out to be the mother of a professional athlete. Pretty sure watching the Olympics will confirm that. We were out of town this weekend, and arrived home mere minutes before the National Anthem was sung. Now that was a highlight. Renee Fleming was fabulous, and I absolutely loved the fly over. I like when the anthem is sung as written, without a lot of curly cues, and runs and riffs, or whatever you call the nonsense so many celebs like to add to make it more about them, and less about our nation. I'm also a big fan of Bruno Mars, and his halftime show did not disappoint. We spent the weekend with hubs sister and brother in law, and their two boys, which is always a lot of fun. My brother in law is a very talented musician, and they had a house concert so we trekked to Maryland to hear him play. I had to drive the whole way there, because hubs was literally on the phone the entire four+ hours. Literally. Not exaggerating even a little. I kind of wanted to fling the phone out the window, but I resisted. He may have wanted to fling it out the window too. We've made this trip many times, but for some reason there is one spot in the journey where we always look at each other and ask if we're on the right road? Is this right? Does this look familiar? Do we go through the city? Didn't we go around last time? Rest assured we were on the right road, but there is always a moment of panic as we scramble to figure it out. Usually a U-turn too, ahem. And hubs would probably say the panic is all me, but whatever, we made it. Saturday we hung out, ran some errands in preparation for their party, dined at Chipoltle, and listened to the boys explain the finer points of Java script and computer coding. It is in moments like these I realize the gap in technology knowledge between our generations is gargantuan. I'm glad there are smart kids coming up to create the next wave of stuff we can't live without. Glad they can walk me through the steps to use it too! Hubs brother1 and his wife arrived late afternoon Saturday, and we haven't seen them in a long while so it was nice to catch up in person. I didn't take many pictures, but did snap one of the hubs with his brother and sister. No matter how big the 'kids' get, mothers never tire of photos like this one. Hubs brother2 was on a work trip, so missed the music this time around. It was a lovely evening. I have a million things going on this week, including but not limited to, putting away my Snow Village. Don't judge! It's still technically winter, so I feel perfectly fine leaving it out longpast the holidays. I realized yesterday though, that it's suddenly February and spring will be here soon (HA!) so I guess it's time.